After you receive a loan from a bank, that bank, generally, does not keep the loan. Instead, it may be sold to Fannie Mae, Freddie Mac, hedge funds, large banking institutions or real estate investment trusts known as REITs. Entities that purchase condominium loans in this manner are known as the secondary market. Fannie Mae, Freddie Mac, Large Banking institutions, and REITs - create loan programs and buy the loan you receive from your lender on the secondary mortgage market. After the mortgage meltdown, Fannie Mae and Freddie Mac stopped purchasing condominium loans for secondary residences unless the properties can meet very strict guidelines. Since most of the properties in Panama City Beach are secondary residences that owners rent out to others, these properties cannot meet Fannie Mae and Freddie Macs guidelines. This along with the lack of other entities purchasing these types of loans virtually eliminated the secondary market for condominium loans. In the years after 2008, a handful of lenders began to grant loans again. This is because a couple of banking institutions created loan programs to keep these loans on their balance sheet, creating the secondary market for condominium loans. There have consistently been three and five-year arms requiring 25-30% down. Interest rates for these loans fluctuate between 4 percent and 6.5 percent. These are loans kept in house at the bank offering them. Many commercial loans are amortized over 20 years. You can expect higher closing cost, and have interest rates 1-2% higher than the 5 year arms. Update February 10, 2017: Qualified buyers can expect to get a 5 year arm amortized over 30 years with a rate close to 4.5%. Update June 11, 2015: A stronger-than-expected May jobs report sent bond yields soaring last week. Mortgage rates followed suit. Loan rates jumped twice last week to 4.5% from 4.25%. Condo loans do not follow in lock step with bond yields like primary home mortgages do. For the past year we have seen the 5-year arm fluctuate between 4% and 4.5%. Today rates are back down to 4.375% and tomorrow we are likely to settle in back at 4.25%. Here are the rates you can expect to see for condos this summer. Most banks are unable to provide financing for condominium properties in Panama City Beach. Sometimes, these entities say that they can, but the truth often comes out about a week before closing that it will be impossible to grant the loan after all. Even so, there are a few banks that will grant loans for condos. 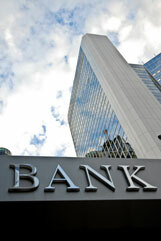 There are advantages to different banks depending on the condominium you are financing and your individual situation. Kristen Blossman of FTB Mortgage is an expert in condominium properties on the gulf coast, and she has had the best condominium loan programs for well over a decade. For applicants with excellent credit and a good debt-to-income ratio, FTB Mortgage currently offers a three-year, five-year, or a ten-year arm with an 11% down payment. This loan program is available to most gulf front condominiums in Panama City Beach. Shores of Panama was droped from this program. Interested parties can learn more about the details here. Emerald Beach also does not qualify for this program, but does qualify for a different program with a higher down payment requirement. Regions Bank also offers loans for Panama City Beach condominiums. The bank is not at liberty to grant a loan for every property, but it is currently offering loan programs for many condominiums in this area. To qualify for these loans, buyers must be able to offer 20% of the purchase price as a down payment for a three-year, five-year or ten-year arm. Prime Lending offers three, five, and ten-year arms with 20% down for secondary residences and 25% down for investors on many of the condominiums in Panama City Beach. They do not lend on every condominium, but have a solid track record for many buildings in Panama City Beach. HomeBridge has closed on several condominiums in Panama City Beach. Wonderful info, thanks for sharing this Chris! Chris, thanks for the article! Well done. What kind of loan if the condo will be your primary home? Thanks for this simplified explanation. Do you know if anything has changed with these loans since 2014 or are banks still requiring a 20-30% down for a PCB condo?